Shopping for Pirates of the Caribbean Vinyl Figures? Choose a pirate's life with this Dorbz figure! From the Pirates of the Caribbean film series, Captain Jack Sparrow has joined the ranks of stylized vinyl figures from Funko. 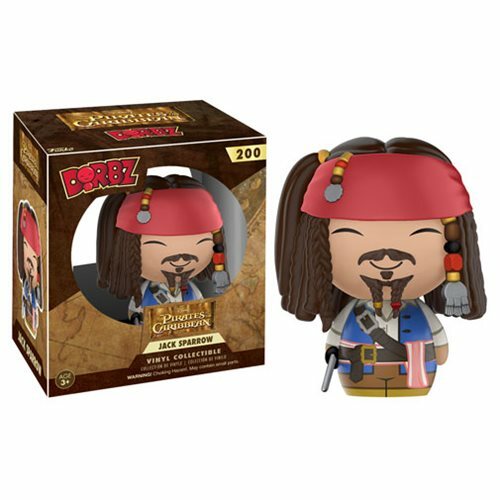 Measuring approximately 3-inches tall, the Pirates of the Caribbean Jack Sparrow Dorbz Vinyl Figure comes packaged in a double-window display box. Ages 3 and up.